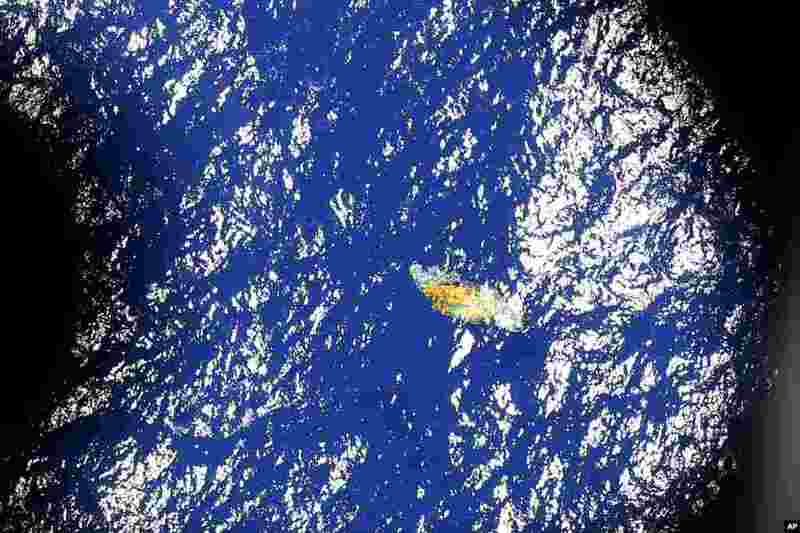 ۱ An image taken from a Royal New Zealand P-3 Orion shows a piece of unknown debris floating just under the water while the plane was searching for missing Malaysia Airlines Flight MH370 in the southern Indian Ocean, Australia. 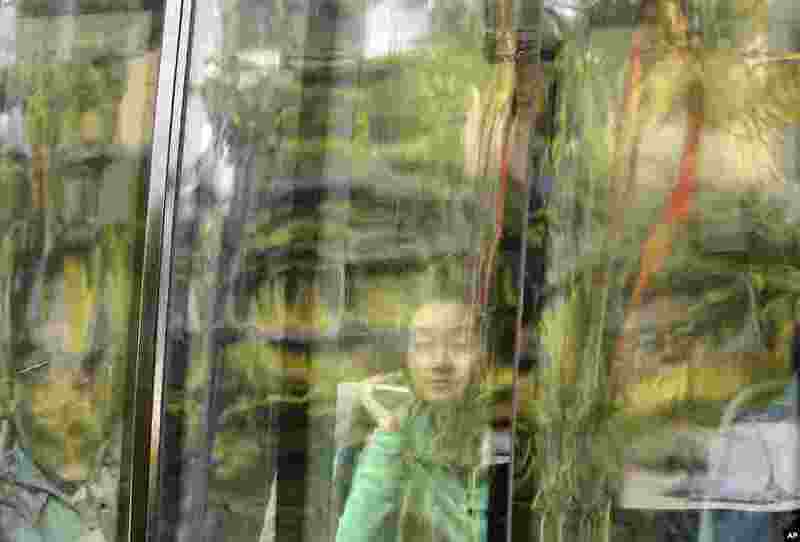 ۲ Chinese relatives of passengers on board the missing Malaysia Airlines flight MH370 look from inside a bus as they arrive at a hotel in Subang Jaya, Malaysia. 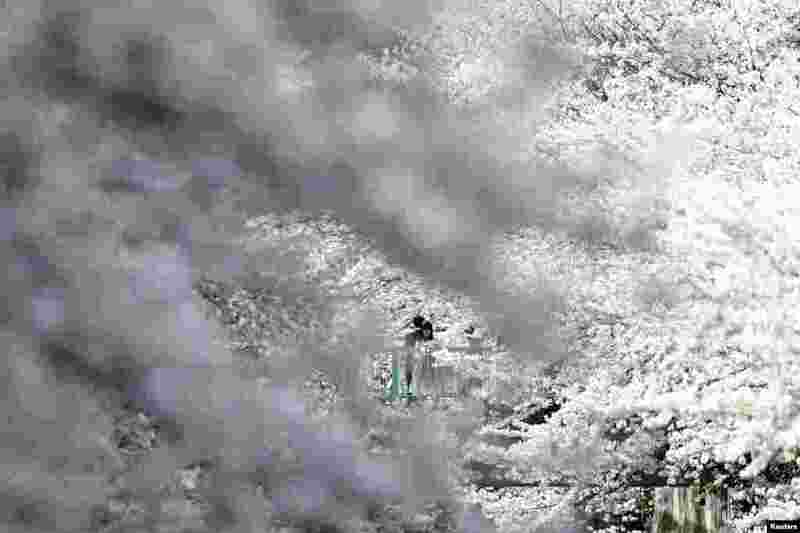 ۳ A woman and a man look at cherry blossoms in full bloom in Tokyo, Japan. 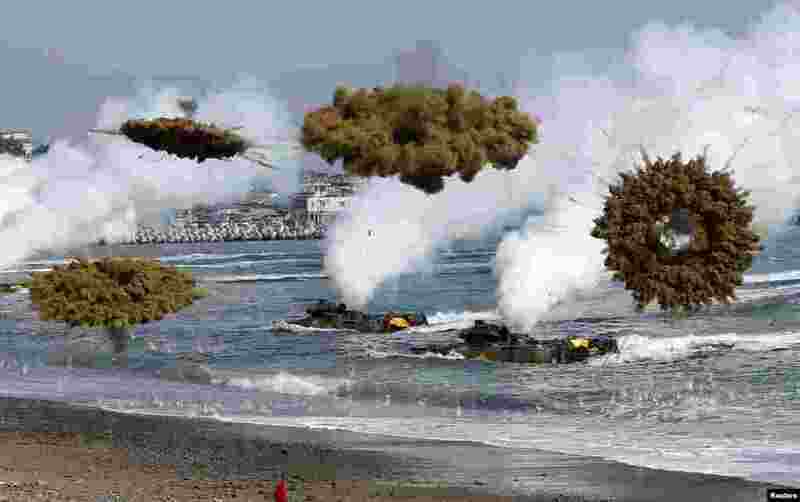 ۴ Amphibious assault vehicles of the South Korean Marine Corps fire smoke bombs as they move to land on shore during a U.S.-South Korea joint landing operation drill in Pohang. 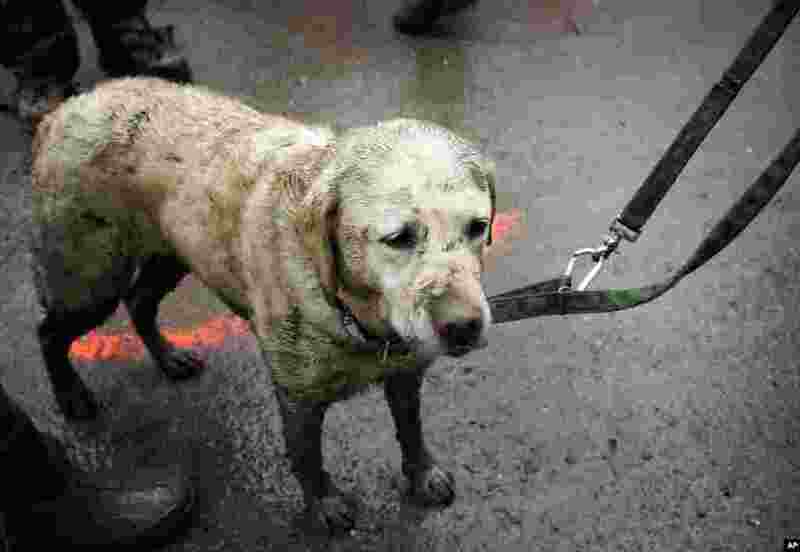 ۵ Rescue dog Tryon, muddied from the day's work, stands with his handler near the west side of the mudslide on Highway 530 near mile marker 37 in Arlington, Washington, March 30, 2014. 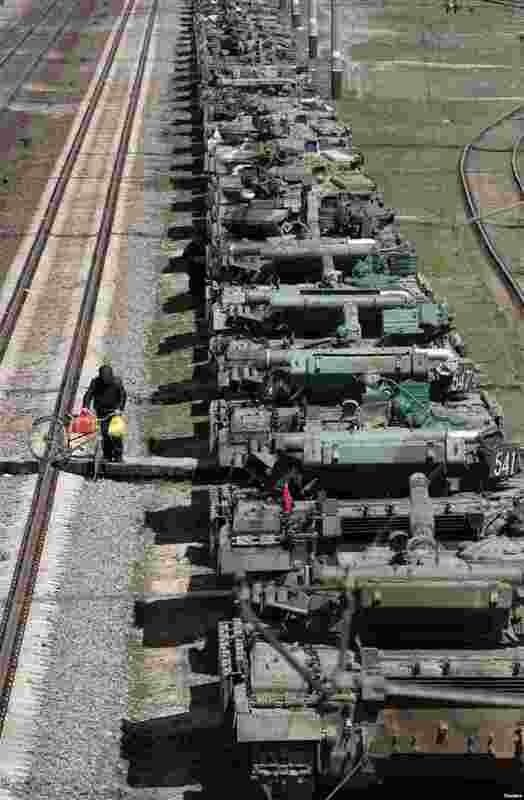 ۶ Ukrainian tanks are placed on freight cars before their departure from Crimea to other regions of Ukraine in the settlement of Gvardeiskoye near the Crimean city of Simferopol. 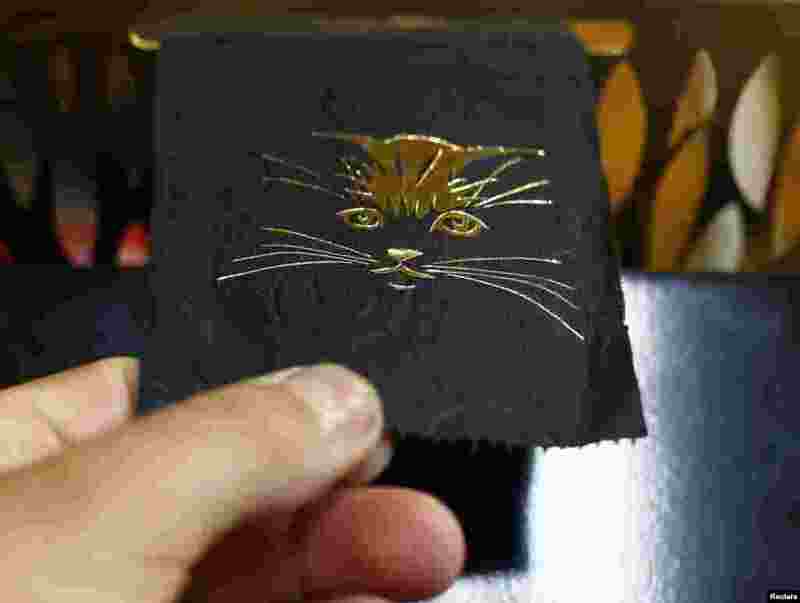 ۷ Luxury toilet paper with 24 carat gold motifs is displayed at the Tissue Design workshop of Fritz Loibl in Grafenau, Germany. Each gold embossed toilet roll, handcrafted by owner Fritz Loibl with customized designs, costs 179 Euros or $246. 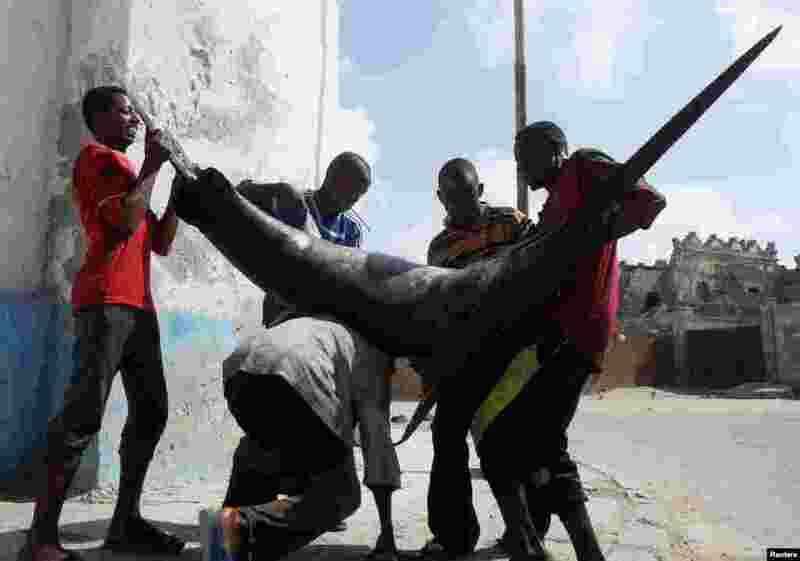 ۸ People help a fisherman to load a swordfish, caught from waters of the Indian Ocean, on his back as he makes his way to the market in Somalia's capital Mogadishu, Somalia.